Rooms for holidays by the lake. 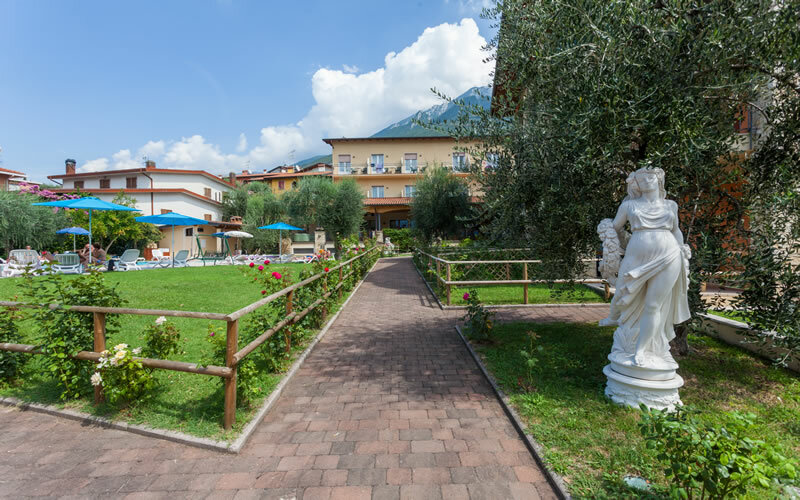 Hotel Villa Isabella offers a variety of rooms, perfect for any occasion: choose the perfect holiday, price and comforts. Choose a room and book now. 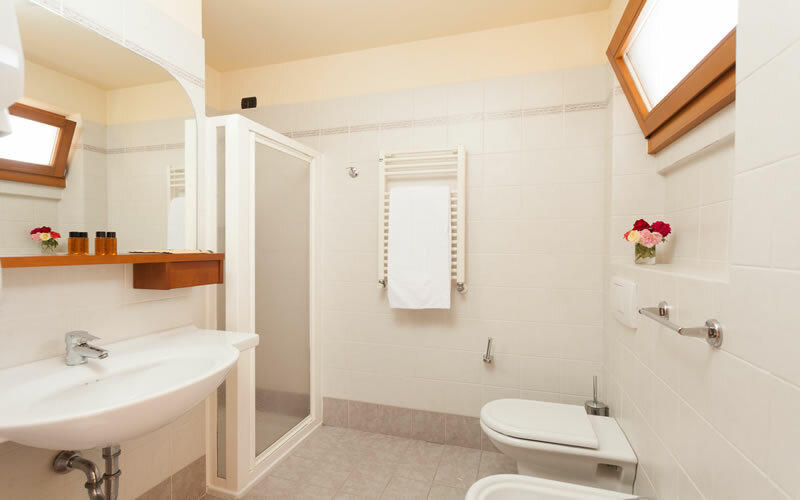 All rooms have a private bathroom with shower and are equipped with: telephone, hairdryer, satellite TV, heating, air conditioning and safe. Most rooms also have a balcony and enjoy marvellous views of the lake. Don’t miss this opportunity! The bright Classic Rooms are characterised by floor to ceiling windows overlooking the mountains, with a small terrace set up with a table and chairs . 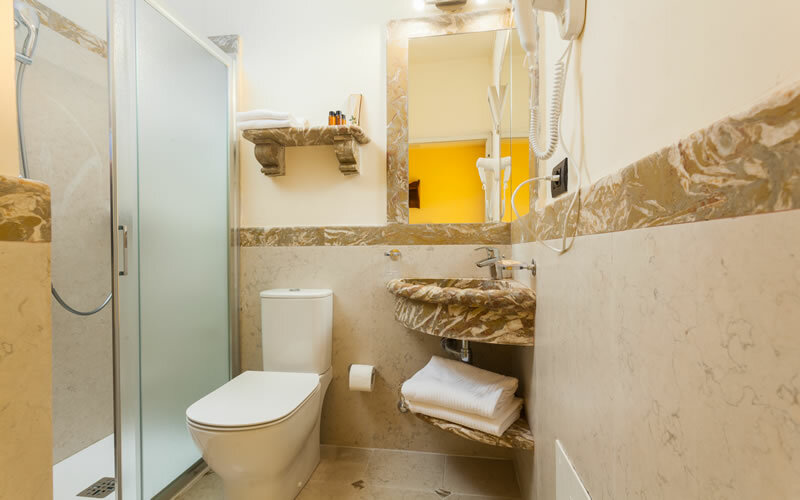 The rooms are divided into a series of spaces furnished in typical classic style, with the entrance, with vestibule and large wardrobe, leading to the private areas of the bedroom and bathroom with shower. 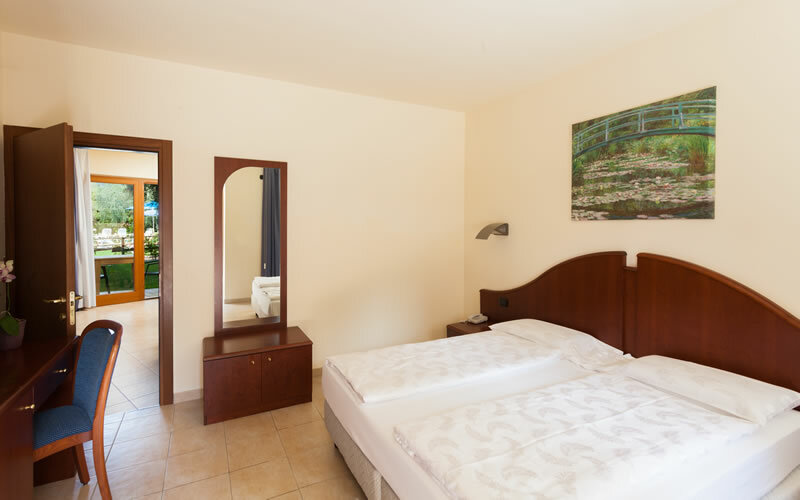 The Comfort Rooms welcoming and bright thanks to their large windows , and are equipped with a spacious entrance and a comfortable double or twin bed. 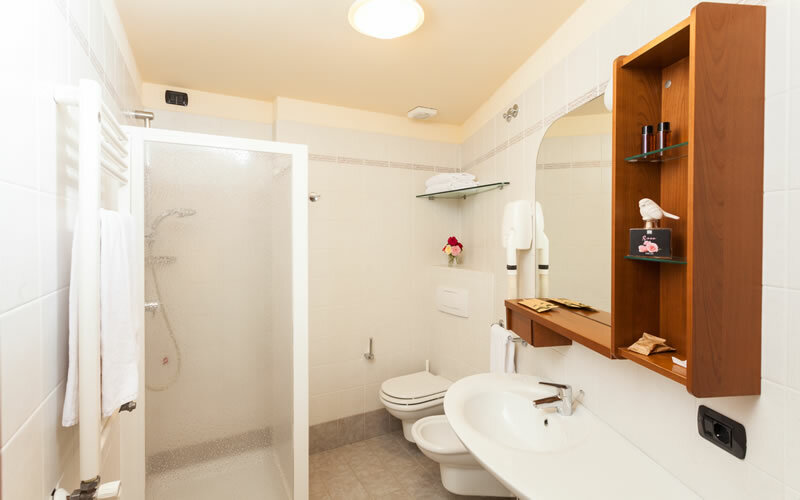 One difference, but not alone, is that there is also an armchair or sofa bed and a large, tiled bathroom with shower . Finely furnished in a classical style, with shades of cherry colours which combine for a relaxing feel. The paintings and shades of pastel cream on the walls create the warmth of an intimate and welcoming environment. 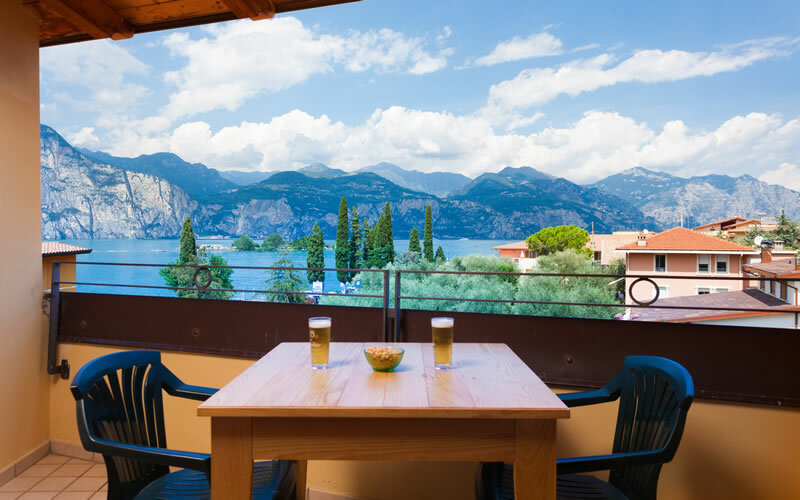 The rooms have a balcony, furnished with chairs and a table, and boast panoramic views of Lake Garda. The Exclusive Rooms are welcoming and bright thanks to their large windows , and are equipped with a spacious entrance, comfortable double or twin bed with the possibility of adding a third bed or bunk bed , a large tiled bathroom with shower, finely furnished in a classical style , with shades of cherry colours, making for a relaxing combination. The light coloured tiled floor, the paintings, the curtains with pastel shades of the walls create the warmth of an intimate and welcoming environment. The rooms are equipped with a balcony , furnished with chairs and table, and boast panoramic views over the lake. Our romantic and sophisticated Suites expand over 30m2. They are made up of two main spaces independent of each other, one for the day and one for the night, and comprise a bedroom, living room, wardrobe and spacious bathroom with shower. Our Suites have a balcony and a verandah attached to the living room with a lovely lake view with a table and chairs. 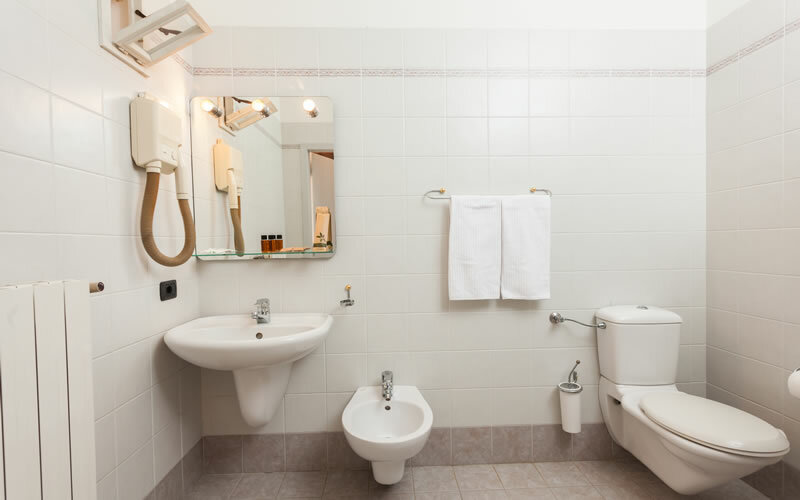 Three Suites may be connected to an extra room to create a “Plus for 6 guests”. 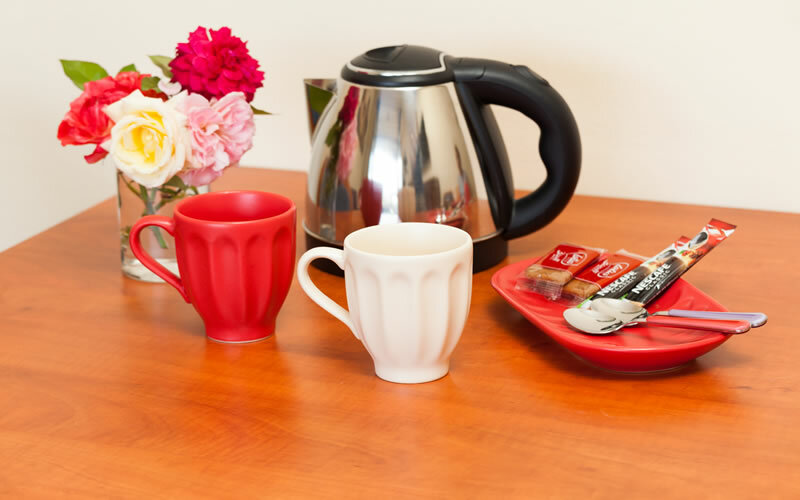 Our Suites have a complimentary tea-time corner equipped with kettle and teapot and offering a selection of teas and herbal teas.